The long history of Kyoto shibori dyeing goes back to the 10th century, when it was used to decorate the garments of the Imperial Court. The technique takes its name from the similarity with the fawn spots. 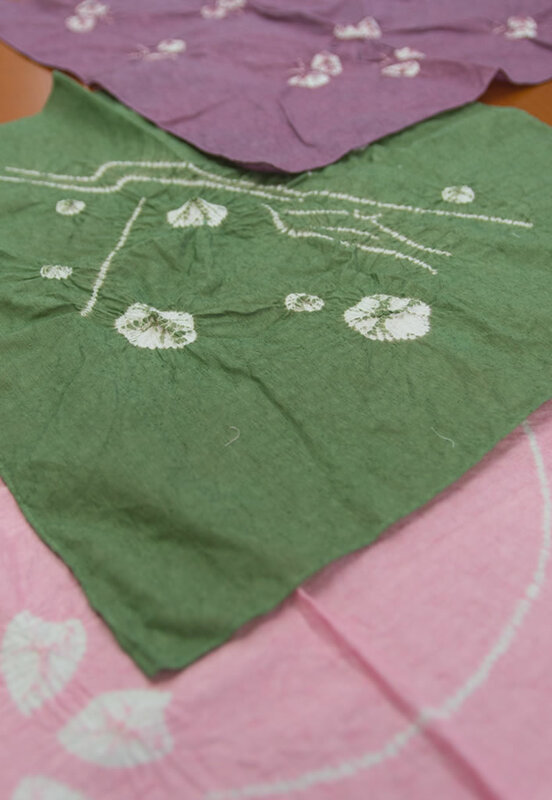 Kukuri-shibori workshop consists of stenciling a sketch of a chosen pattern and tying the cloth with a varnished thread. Patterns appear after dyeing when the thread is removed. Have fun dyeing your own original handkerchief and create unpredictable subtle patterns that are never the same and change depending on the degree of penetration of the dye into the fabric. We also welcome another inquires besides offered plans.